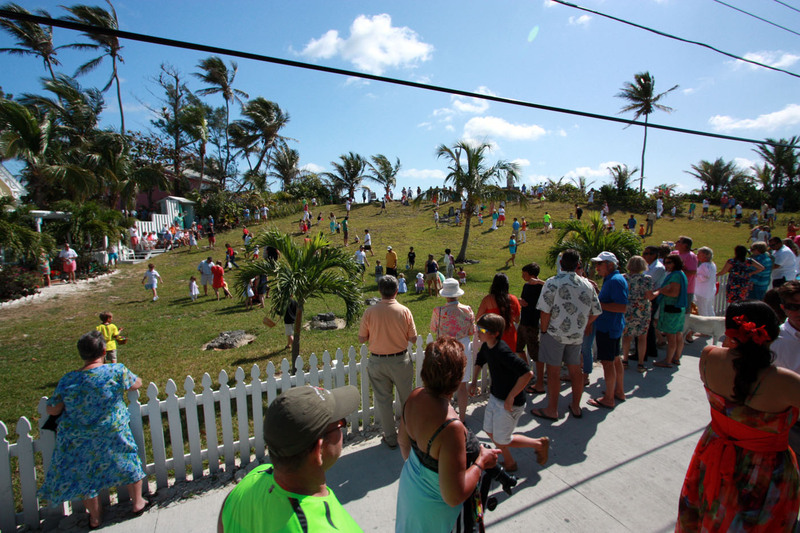 Easter Weekend in the Bahamas is a 4 day holiday, with Friday and Monday both public holidays. It is a long standing tradition of the less faithful to take advantage of the spring weather and the extra long weekend to travel afar in a boat to the Exumas, or hop on a plane and skip to another island. or go back home to the roots. Or go shopping. It is always a rather busy couple of days for me. For instance this year, friends from ‘off-island’ were staying on Guana Cay who wanted us to spend time with them, family members were staying on Man O War Cay and wanted us to spend time with them, and there were other happenings going through the weekend too. What we did was have lunch at Grabbers on Friday with the Nassau crew. I had a very nice pizza by the pool looking out across the beach, the paddlers and the moored vessels. Saturday we went to Pete’s Pub in Little Harbour for the Pig Roast with family. Then on Sunday we went to the Hope Town Eastern Egg hunt for the children: Clara loved it. Hundreds of kids swarming the hillside searching out the hidden eggs and chocolates. This was followed up by lunch at Firefly Resort on Elbow Cay. The food is spectacular and possibly some of the best eating you can find in the Bahamas. www.fireflysunsetresort.com They have just expanded the dining area so you don’t have to worry about inclement weather. And of course, being a in real estate I had to work all of the Monday holiday. But it was a gorgeous day in Abaco. On top of all that, a good friend of mine was recently hired to assist with a reality survival TV show shoot here in Abaco a few weeks ago. The show Man Woman Wild was shooting in Abaco. They were shooting the marls and creeks areas of the Bahamas instead of the typical deserted beach island scene. In many ways the creeks and mangrove marshes are much more interesting and alive than the idyllic deserted beach islands are. As a visual – a beach is kind of like a desert, there really isn’t much sealife around. 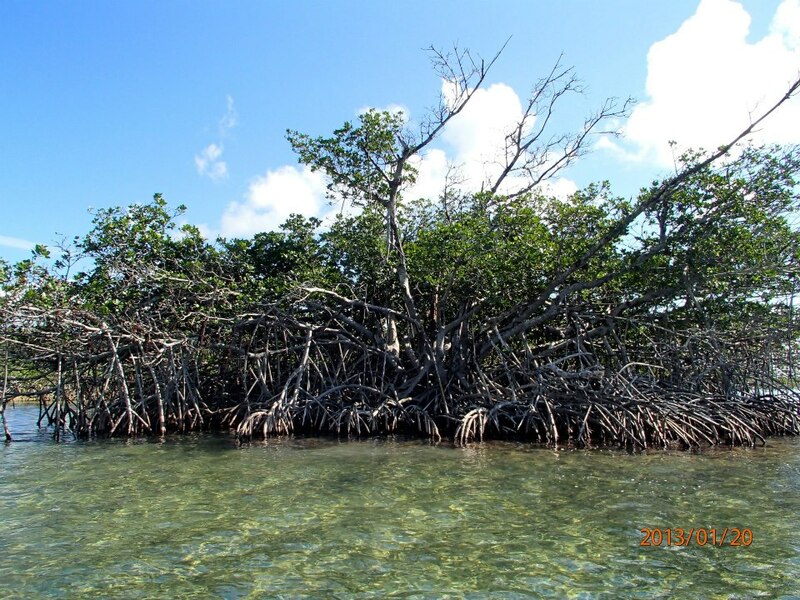 But when you get in the creeks, it is like the equatorial rain forest and you will find turtles, baby sharks, all sorts of fish and lobsters, crabs and a variety of plant life. When you get bored of lying on a beach sipping frozen drinks out of coconuts, you should find the energy to go and explore some of the oceans baby nurseries. 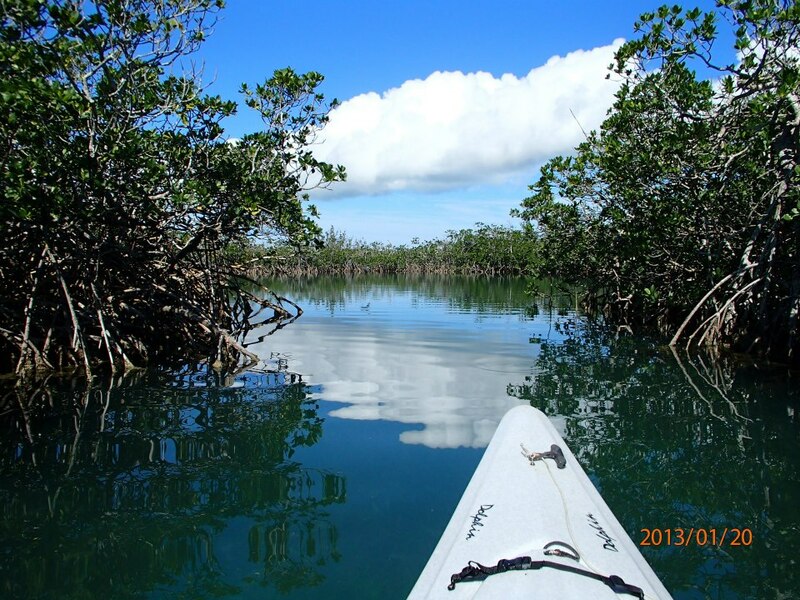 There are several eco-kayak tours and guiding companies that can arrange for a trip, or just buy your own kayak and got check it out on your own. For instance http://www.abacoeco.com/ is one option to check out. Enjoy, and make a point to visit this time of year, it is still cool in the evenings, but warming up steadily in the days. Right now is one of the best times of the year in the Bahamas.